It’s a fairly steep climb up the vineyard lined private driveway that leads to the Poetry Inn. After being buzzed through the gated entrance, there’s a few more turns before the Napa Valley hotel comes into view. 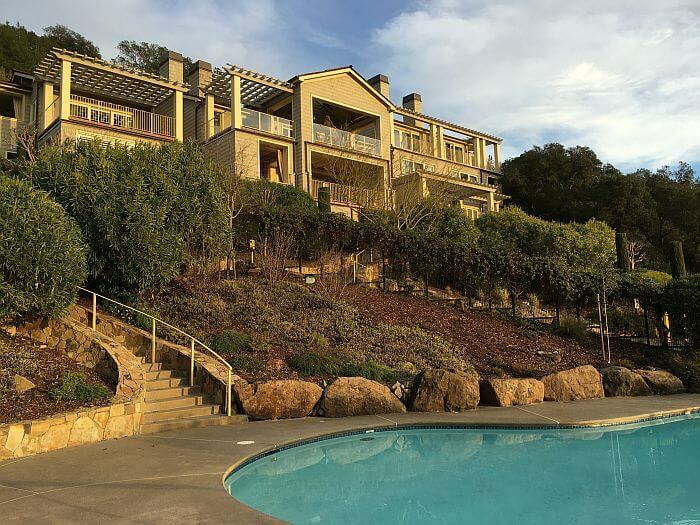 Perched on a hillside of Cabernet Sauvignon you can’t take in the full view until you park your car and walk inside. That’s when you’ll let out the first of many WOWS. There’s no lobby per se, just a welcoming main lounge with an entire wall dedicated to vineyard views. Fresh baked chocolate chip cookies are known to make afternoon appearances, offering yet another reason to visit and enjoy the comfortable space. With just five rooms, there will be many moments when you feel as though you have the Poetry Inn all to yourself. Though no two rooms are alike, they all offer the same luxurious amenities. 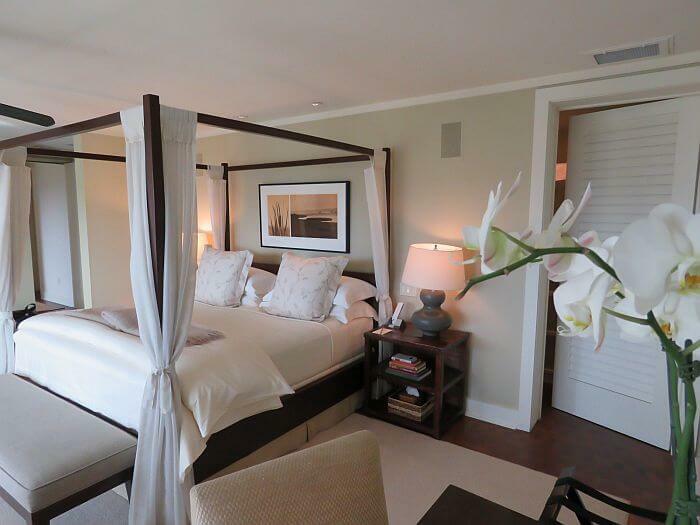 Rooms are spacious with a king size bed, a wood-burning fireplace, Italian linens and hand-hewn wood floors. Bathrooms, the size of some city hotel rooms, offer dual vanities, a large soaking tub, private toilet area and heated floors. There are two showers to choose from – one inside and one outside. You’ll find things just the way you like them, from the type of pillows on the bed, to the music playing in the room. Long before your arrival you will have received an email with a few questions that allow the attentive innkeepers to customize your stay. But of all of the luxurious features, one will most likely standout among the rest. 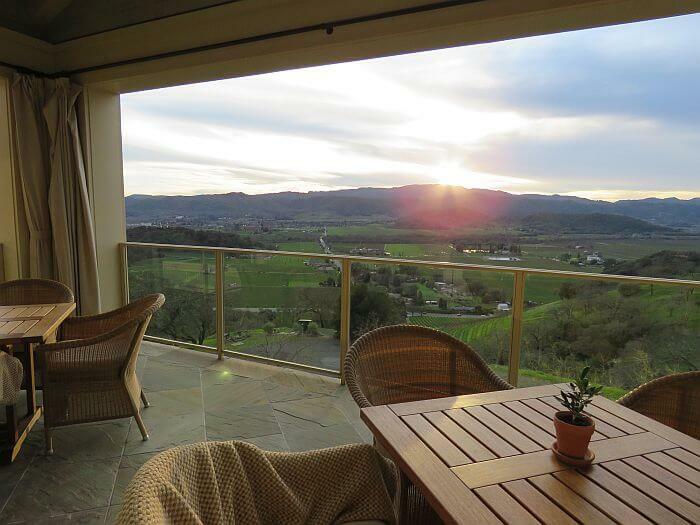 Every room has a large balcony with views of the Napa Valley. Most of the meticulously manicured vineyards you see are owned by Cliff Lede Vineyards (Pronounced lay-dee, he also owns Poetry Inn.) All guests receive a complimentary access pass to what’s called the Backstage area of the winery to taste limited production wines. Can’t bear to leave Poetry Inn? Arrangements can easily be made for a personalized tasting at the Inn. The property also boasts a pool (heated April through November) and a Jacuzzi in a perfect spot for stargazing all year long. 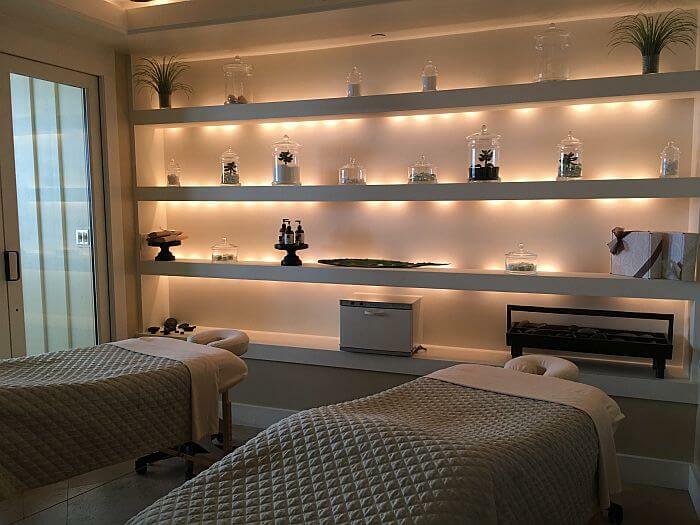 Therapists can be booked for massages, facials and an assortment of other treatments in the spa treatment room located on the lower level of the property. It’s located next to the Poetry Inn Wine Cellar; well stocked with the wines of Cliff Lede Vineyards and FEL wines. Morning coffee or tea wake-up service is available daily from 7:15am. Breakfast here is a meal to savored and remembered. 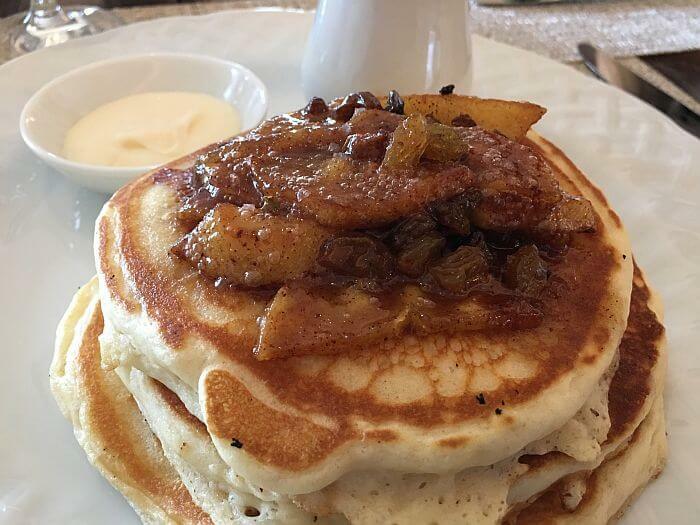 The three-course gourmet offering is served daily from 8am to 10:30am and guests have their choice of dining in the main lounge, on the veranda, or in the privacy of their room. It begins with fresh squeezed orange juice served alongside pastries from Thomas Keller’s Bouchon Bakery. The second course include options like steel-cut oats and house-made granola with yogurt and berries. Just when you think you can’t possibly eat any more the third, and best, course arrives. With choices like smoked salmon on French toasted brioche, brown butter pancakes or a breakfast salad of mixed winter greens with warm bacon-balsamic vinaigrette, you’ll eat every last bite. After checking out, as you start your way the down the curvy driveway, don’t be surprised if thoughts of a return trip immediately dance in your head. Internet is also one of the many complimentary amenities. Children must be 16 to stay at the property. Rates range from $650 to $1975, depending on season and availability. Book direct or follow this link for Hotels.com. Review and photos by Dana Rebmann. She was a guest of Poetry Inn, but as always her thoughts and opinions are her own.